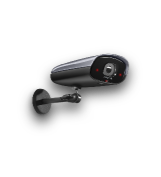 Multimedia streams are used in a variety of domains, such as electronic surveillance of city streets, sports arenas or railway stations, as well as in medical examinations. KASKADA platform provides new solutions for effective management and analysis of this type of data. KASKADA platform runs on Galera supercomputer in Academic Computer Centre TASK and allows for different kinds of multimedia stream analysis. Its innovative approach is based on parallel processing for multiple data inputs and providing real-time analysis results. 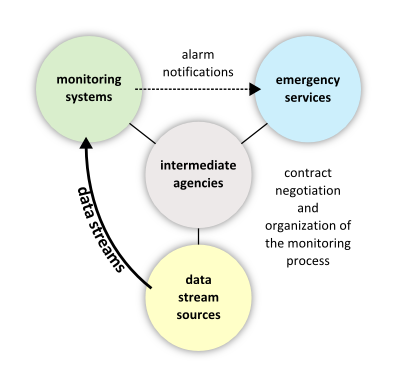 While the analysis is conducted, the processed parts of the streams are transmitted to external applications. When specified objects or events are detected, appropriate institutions can be notified through a notification system, e.g. email. In the traditional development model, every author of a multimedia stream analysis application has at his disposal only some basic tools and libraries available in distributed processing systems (e.g. MPI). With these tools he has to single-handedly implement the whole set of necessary functionality, which takes a lot of effort. The new model introduced in KASKADA platform allows for a significant reduction of the programmers' efforts through providing them with a whole spectrum of functions used in multimedia processing. Operations such as effective data transmission, support of popular multimedia codecs and monitoring of service execution are carried out automatically, which substantially reduces the complexity of the application's architecture. 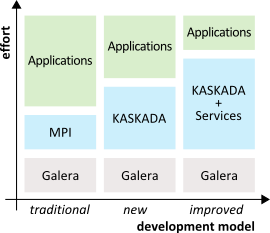 The improved processing model additionally considers the possibility of using already existing services, stored in the KASKADA platform's repository. Creating new data analysis scenarios with ready-to-use, thoroughly tested components allows for a significant reduction of time necessary for deployment of new applications. choosing the correct processing scenario basing on the context: place, time, weather, etc. User Console is used for creation, management and execution of services. Simple and complex services can be created by developers through a web interface. It is also responsible for management and supervision of the computing nodes and shows information about the state of individual nodes, received from the Monitor. The Platform uses a task scheduler to assign tasks to computing nodes. This concerns both data processing services and tasks launched on the multimedia stream management server. The scheduler allows for effective utilisation of the available resources and increases reliability of the whole Platform. 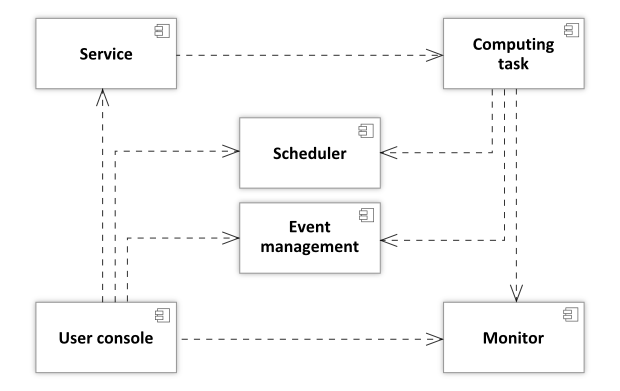 The successful detection of specified situations causes generation of an event which is passed to the Event Management component. Each event is stored for administrative and safety purposes and could be delivered to the external recipients through e-mail or JMS queue. 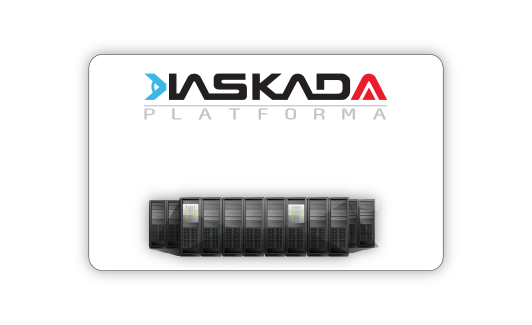 The application performs real-time analysis of multimedia streams received by KASKADA platform from public places such as airports, railway stations, sports stadia or concert venues. 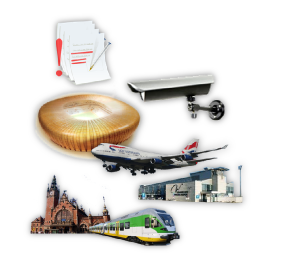 The application's purpose is to identify specified objects and hazardous events, e.g. : potentially dangerous objects (e.g. firearms), suspicious unattended luggage, trespassing, brawls and riots, screams, shouts, calls for help, the sound of breaking glass, including car windows, gunshots, explosions, smoke. 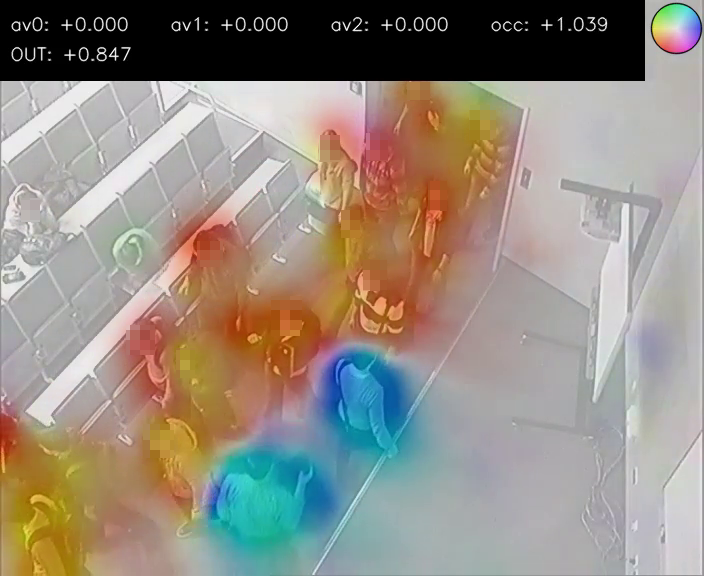 The application is also capable of interpreting crowd behaviour through audiovisual data analysis. The processing can be carried out in multiple threads without sacrificing accuracy of the results. The identified objects and events are stored in a repository. Through potential cooperation with agencies responsible for public safety, the application creates a possibility to improve the security of urban complexes and public facilities. 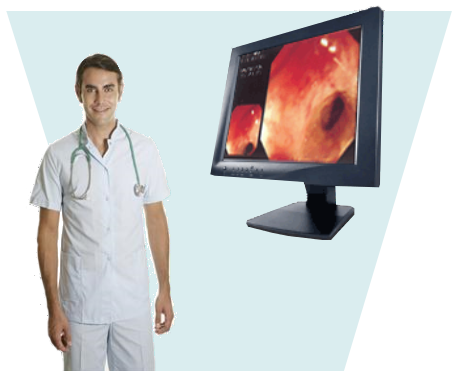 The application performs analysis of video streams from medical examinations performed with endoscopy devices and capsules. Although endoscopy makes it possible to quickly detect malignancies in the digestive system, examinations often take a lot of time and require full attention of a highly-skilled specialist before pathological changes are properly identified. The application can provide assistance by indicating the most important parts of the recording and suggesting the type of detected alterations in real-time. When the video is played again, only the important fragments with identified malignancies are presented, which reduces the amount of time needed to make the appropriate decisions. These activities can be also carried out remotely by using a supercomputer. The application enables KASKADA platform to cooperate with systems and devices used by clinics, hospitals and other medical facilities. 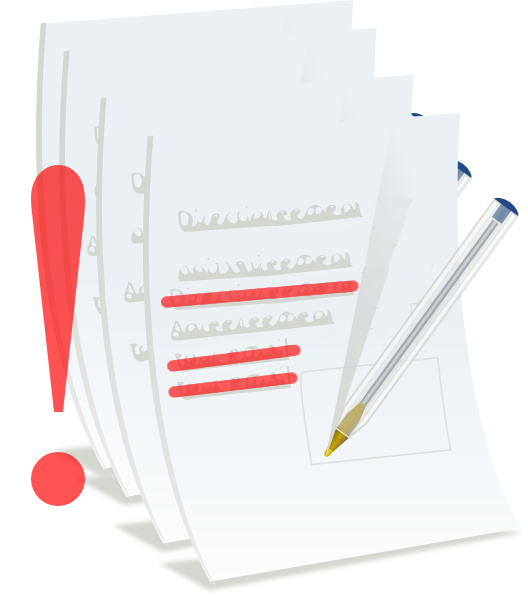 The application analyses sets of documents (e.g. scientific works) and searches for any similarities in texts, mathematical formulae and illustrations. The comparative analysis uses as a base both a dedicated repository of digital documents, as well as the Internet and remote digital libraries. The platform allows for simultaneous analysis of multiple documents from a given category, which increases the accuracy and completeness of the results by providing a wider set of documents. The application can be used for detection of copyright infringement in scientific publications and other types of reports, documents and software, as well as for improving methods of searching for specific data available in various repositories. Virtual Portrait application allows for creating hypothetical liknesses of people whose actual appearance remains unknown. By using existing historical data, our algorithm generates propositions of believable portraits, potentially resembling the person we are looking for. The utilized algorithm belongs to the family of so-called genetic algorithms (GAs). The general idea is to search for the optimal solution through a process resembling biological evolution. During the algorithm execution, many potential solutions are generated, to which the algorithm cyclically applies procedures of cross-over (combining features of different solutions) and mutation (introducing small random fluctuations to the solutions). 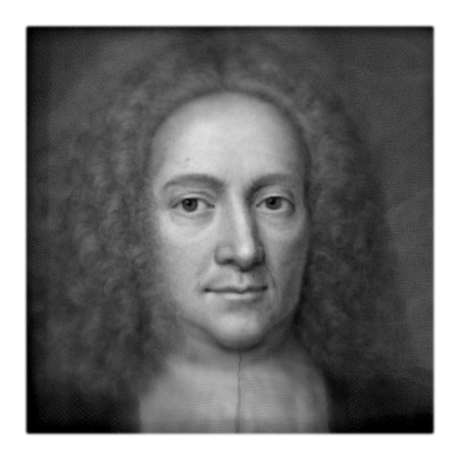 The application was used for creating a virtual portrait of the world-famous Gdańsk scientist, Daniel Gabriel Fahrenheit. Functionality implemented in KASKADA platform allows for broad integration with business and public units. 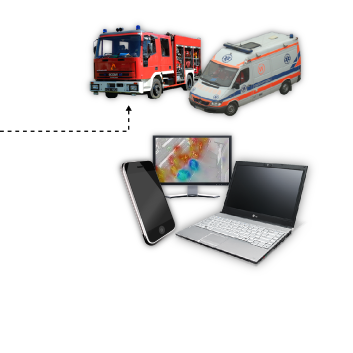 Through negotiating appropriate contracts by intermediate agencies, applications can be used by emergency services such as medical emergency or fire services. One of the basic aims of KASKADA platform development was to assure high quality of provided services. 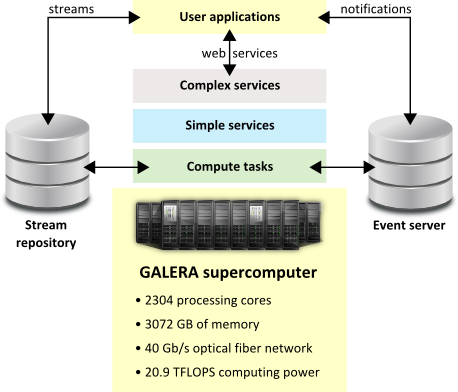 Through utilising the computing power of the Galera supercomputer, as well as using advanced resource allocation algorithms and efficient data stream processing techniques, high scalability of the platform was ensured, which allows for execution of a large number of simultaneously working services. Additionally, specific features of parallel real-time data processing were taken into consideration, so that the services running in KASKADA platform are characterised by low data loss, which corresponds to high quality of the obtained results. 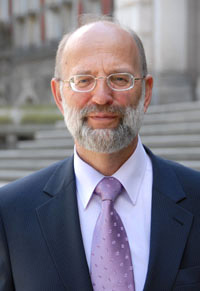 Prof. Henryk Krawczyk is a specialist in distributed architecture computer systems and software engineering. He is the head of the Department of Computer Architecture and was the dean of Faculty of Electronics, Telecommunications and Informatics for four times. 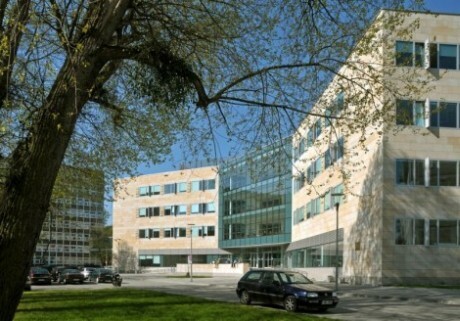 Since 2008 he has been the rector of Gdańsk University of Technology. He promoted 22 PhD theses. He participated in many successful national and international research projects (e.g. Tempus, Copernicus, Esprit and Mayday Euro 2012 – one of the most innovative research grants) and is a co-author of two licences (2010, 2011) in a research project linked with VoIP systems. He is an author of several computer system implementations (e.g. a support system for endoscopy examination used by Medical University of Gdańsk) and more than 350 scientific publications (with 99 external citations, Index-H: 3), including one foreign monograph and nine KASKBOOK books related to research works of the Department of Computer Architecture. He is a member of the Polish Academy of Sciences, chairman of the CI TASK Users Council and WETI, IBS PAN and IPI PAN Scientific Committees. He is a member of the KRASP Praesidium and president of the Committee on Information Infrastructure of KRASP. 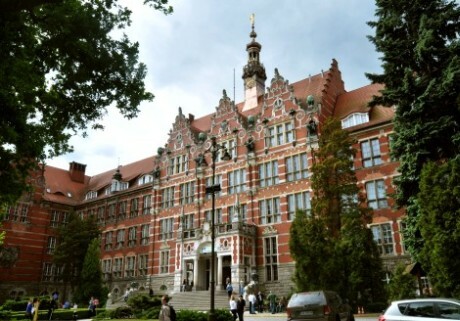 KASKADA team is a close-knit group of nine passionate individuals from Gdańsk University of Technology who are enthusiastic about high performance computing and multimedia processing. In our team we have one PhD., six MSc. Eng. (including five PhD. students) and two Eng. We specialize in C++ (e.g. RDMA, MPI, Boost and GStreamer) and Java technologies such as Spring, Hibernate and ActiveMQ. Our developers have rich experience in scientific and business projects, such as Beesy Cluster, Tempus, Copernicus or Endoscopy Recommender System (ERS). Part of our team have certifications from IBM, Oracle/Sun, Novell and LPI (e.g. OCPJP and LPIC). We focus not only on development, but we also do research that is connected with HPC. We create models based on diagnostic data, we design and execute validation tests to prove them, and we use them to solve real-life problems. We have published more than 15 publications in national and international journals and conferences. Jerzy is responsible for tough decisions that influence KASKADA team's aims and work style. He has rich experience in creating multimedia platforms using SOA architecture, high performance computing and fast fiber networking. He was responsible for designing and implementing the system framework for pilot applications related to automated video security, medical consultations and copyright infringement detection. He received his PhD. 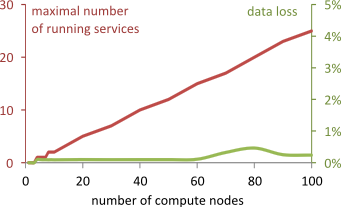 in parallel and distributed processing in 2012 from Gdańsk University of Technology. His research interests include parallel and distributed architectures and multimedia processing. Jerzy is an IBM Certified Enterprise Developer and Sun Certified Enterprise Architect. During the course of the project, our team have authored a number of articles in scientific journals and international conferences. These publications concern subjects such as parallel processing, task scheduling and multimedia services modeling. Members of KASKADA team have also written five master's theses (one still in progress) and one PhD dissertation. Below, we present a list of the most important papers. A structural type of project under the Operational Programme Innovative Economy 2007-2013 Priority 2, Infrastructure R&D, Measure 2.3. Investments related to the development of infrastructure of science, Sub-measure 2.3.3. Projects in the development of advanced communication services and applications. The KASKADA platform was developed as a part of the MAYDAY EURO 2012 project.